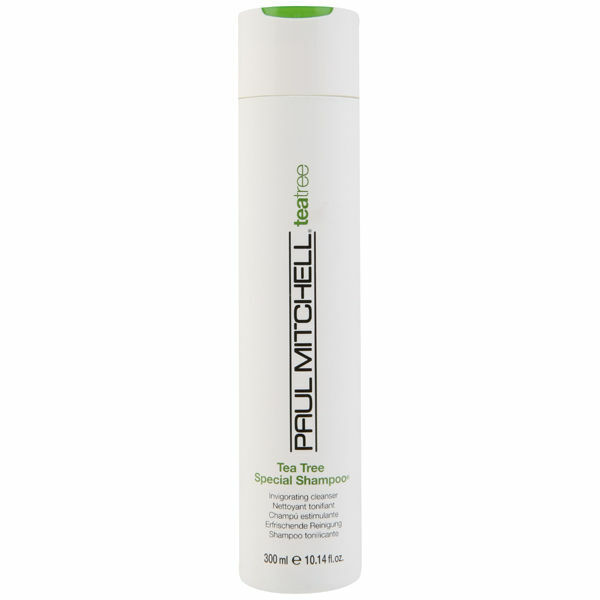 Get healthy looking hair that detangles with ease by lathering on the fragrant Paul Mitchell Tea Tree Special Shampoo (300ml). This natural formula includes elements of lavender, tea tree oil and peppermint to make every wash an invigorating experience. The gentle tingling sensation from the shampoo will help awaken your senses during morning showers. Your hair and scalp will soon begin to feel intensely clean and fresh, and will appear shinier with increased vitality. In order to obtain the best results, apply a generous amount to your wet hair and massage well. Then rinse out thoroughly in clean, running water.